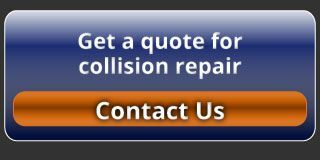 Collision Repairs Grande Prairie | Auto Body Shop | J Adams Autobody Ltd. If your car is bent, but not broken, J Adams Autobody Ltd. in Grande Prairie will get it looking new again. From frame straightening to paint refinishing, we take pride in being able to restore vehicles of all makes and models. Our modern facility is fully equipped to handle all types of collision repairs, precision colour matching, AC servicing, plastic repairs and auto glass replacements. We’ve built a reputation for stunning custom paint jobs and offer painting service for more than just automobiles. Let us know what you need painted and we’ll give you a quote. Get the personalized service and expert workmanship you deserve from J Adams Autobody! When your vehicle has had a new coat of paint, be sure to follow the advice below to ensure your paint job lasts. Do not wax or polish new paint – this will allow the finish to dry and harden completely. Do not use a commercial car wash. Stiff brushes or sponges could mar the finish and damage the surface. Wash the vehicle by hand with cool water and very mild car wash solution. Be sure to use a soft cloth or sponge. Do not park under trees which drop sap or near factories with heavy fall smoke fallout. Sap and industrial emission mar or spot a freshly painted surface. Wash the vehicle in the shade – never the sun. Do not “wipe clean” the vehicle – always use clean water. Dry wiping dirt or dust can scratch the fresh paint. Extreme heat and cold are to be avoided. Keep the vehicle parked in the garage or shade whenever possible. Do not spill gasoline, oil, antifreeze, transmission fluid or windshield solvent on the new finish. If you do, IMMEDIATELY rinse off with water. DO NOT WIPE. Do not scrape ice or snow from the surface. Brush of loose material with a soft snow brush, foam snow rake is preferable.